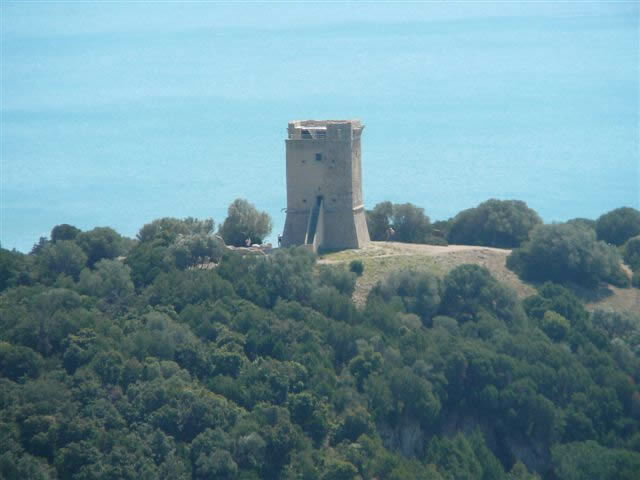 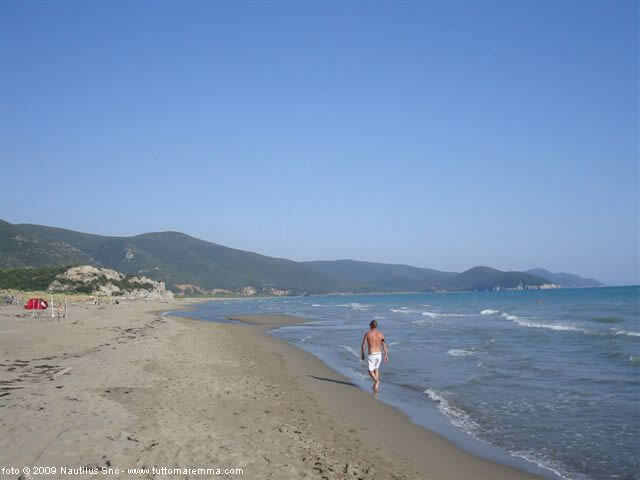 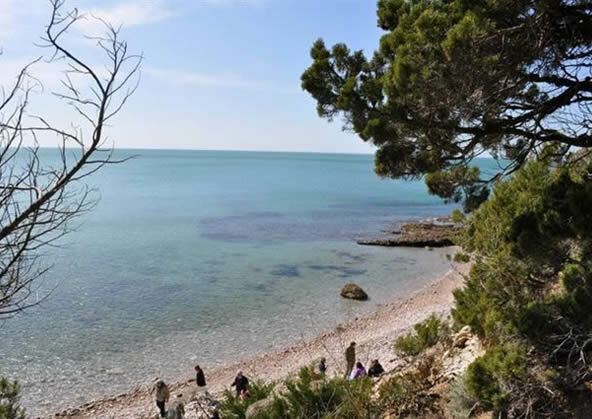 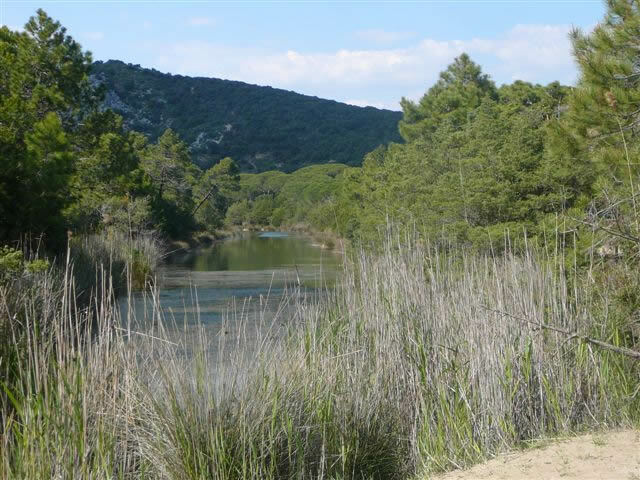 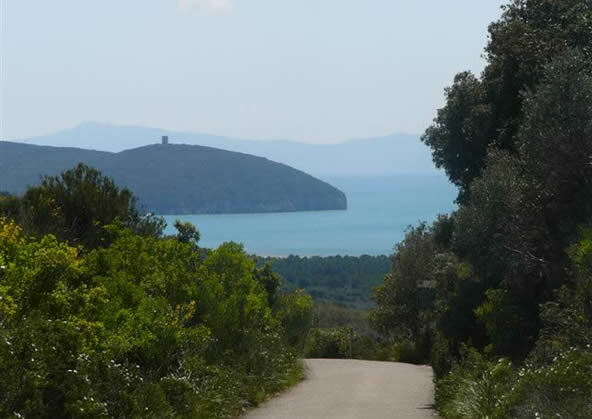 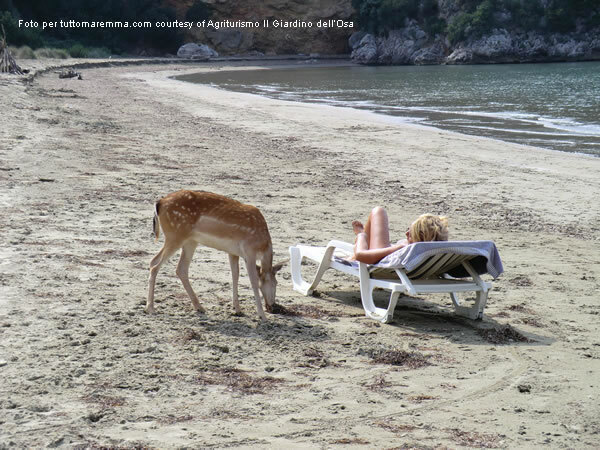 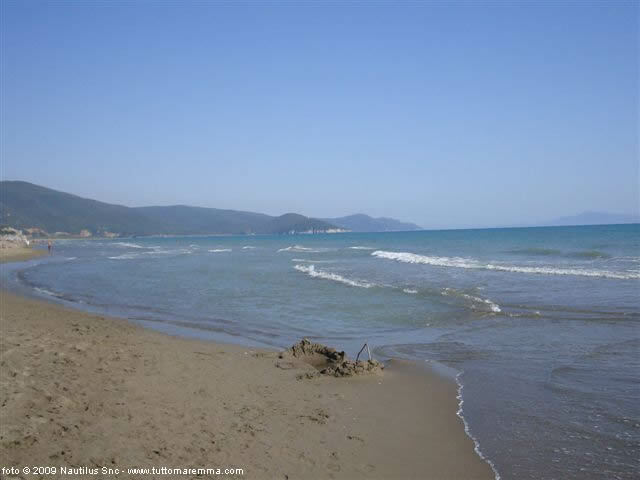 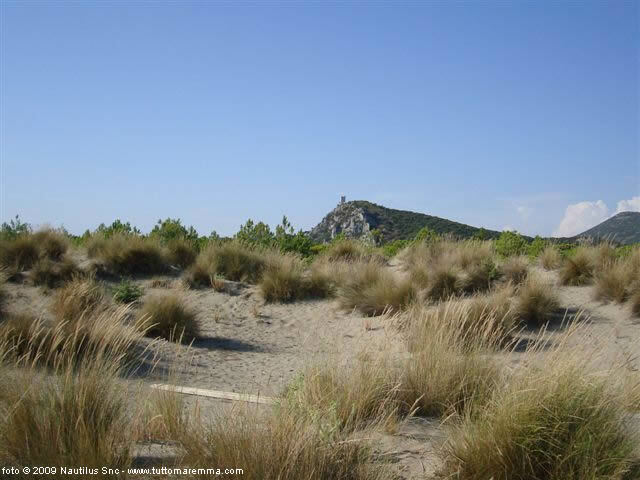 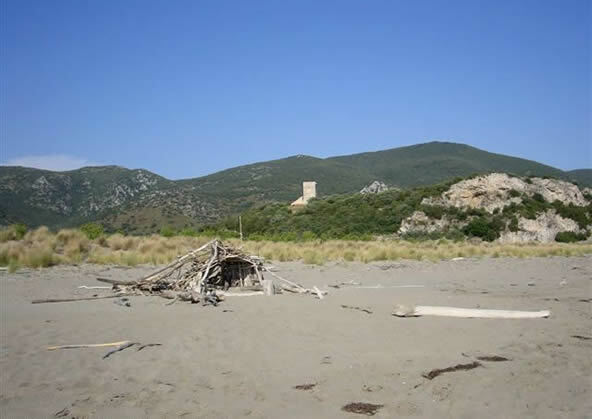 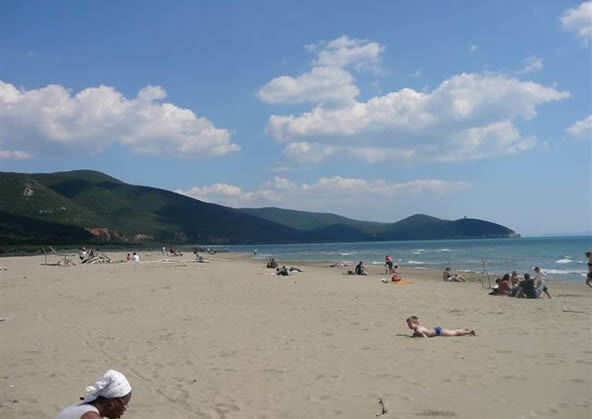 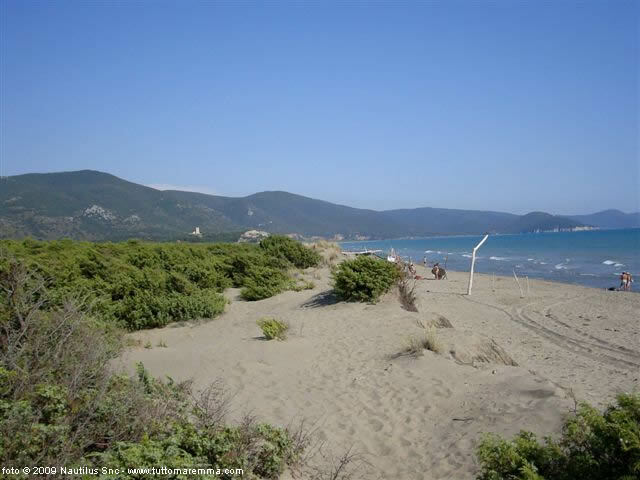 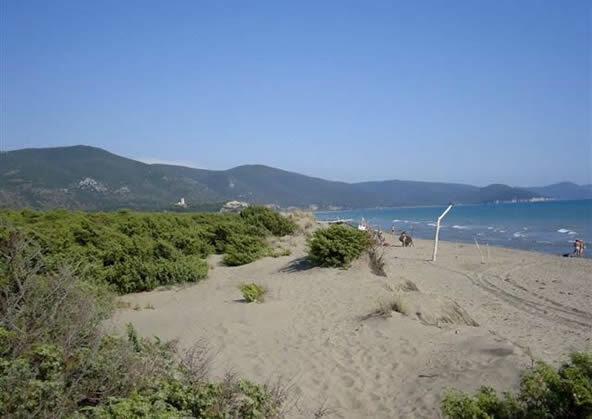 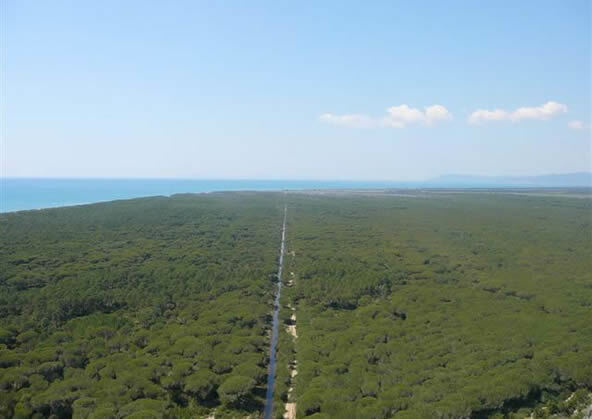 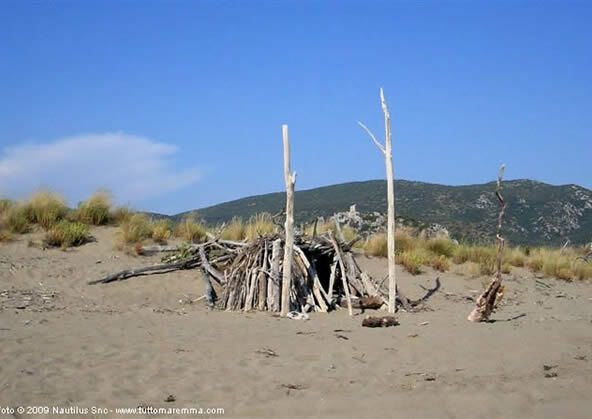 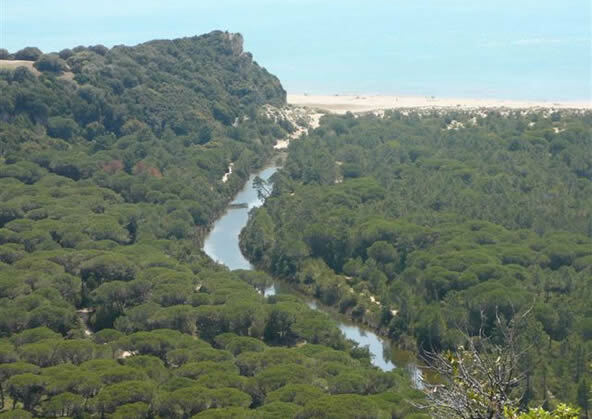 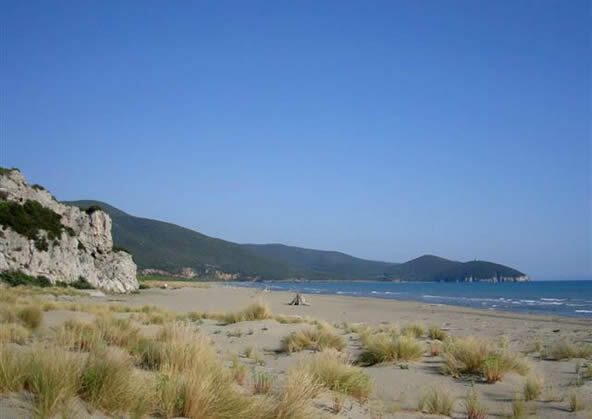 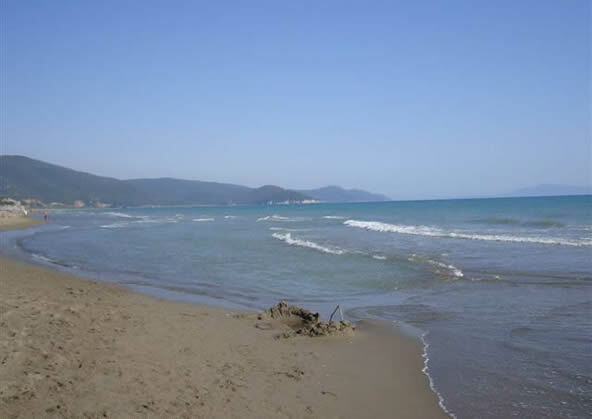 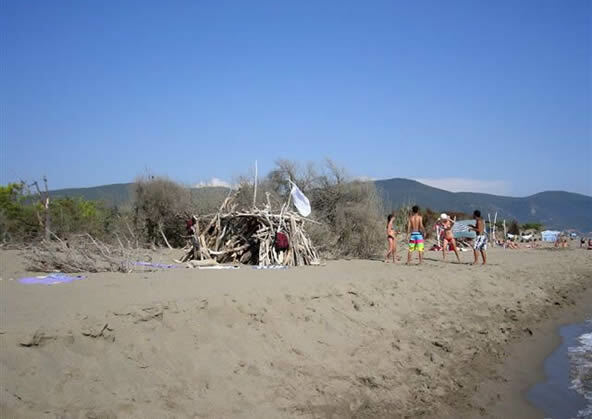 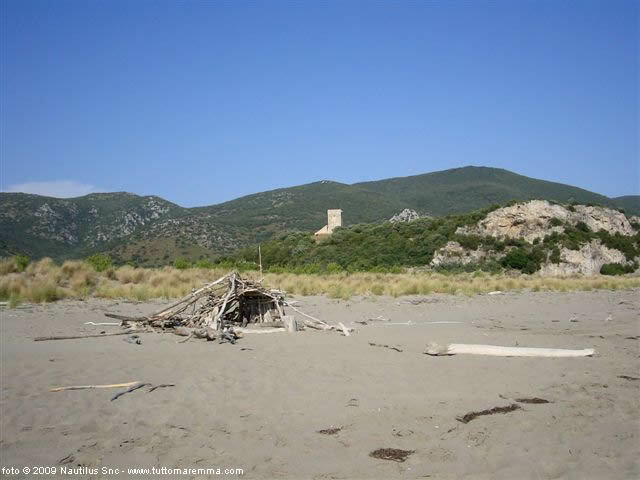 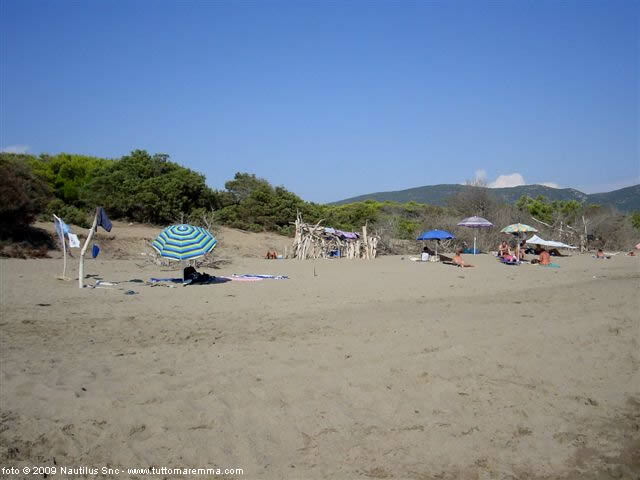 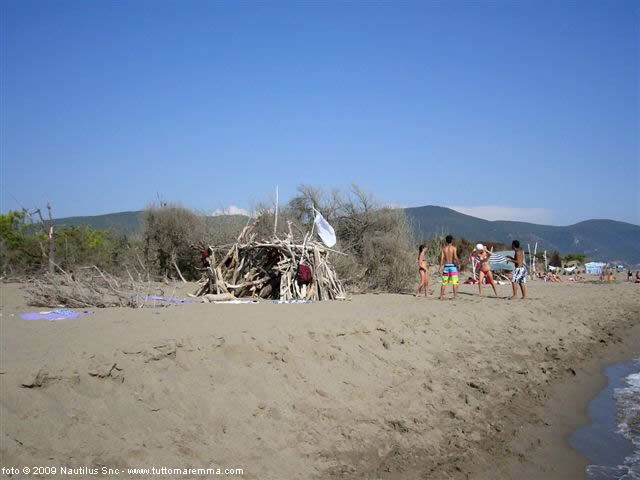 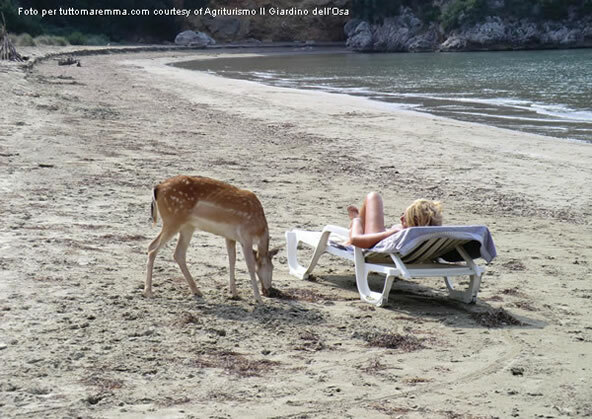 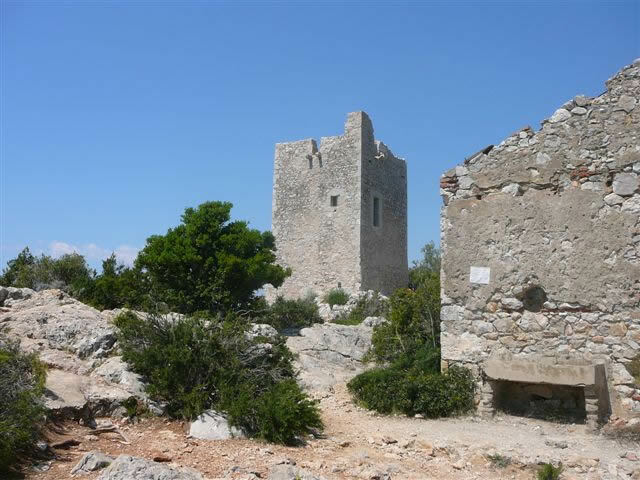 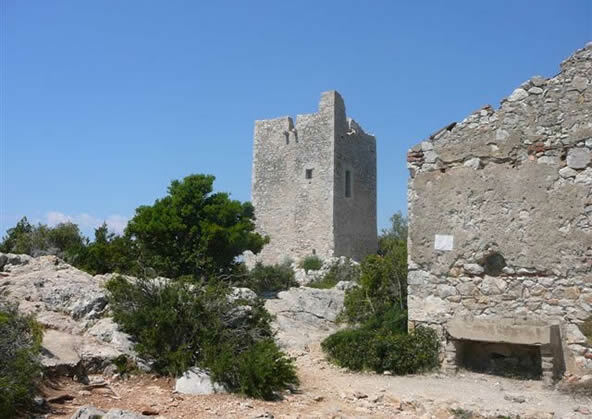 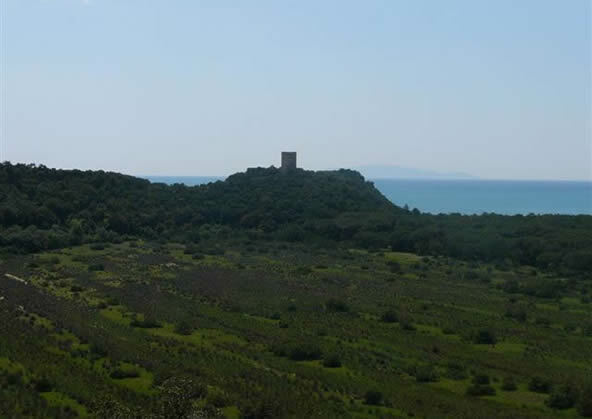 Maremma natural park: description, photos, beaches and map about the park. 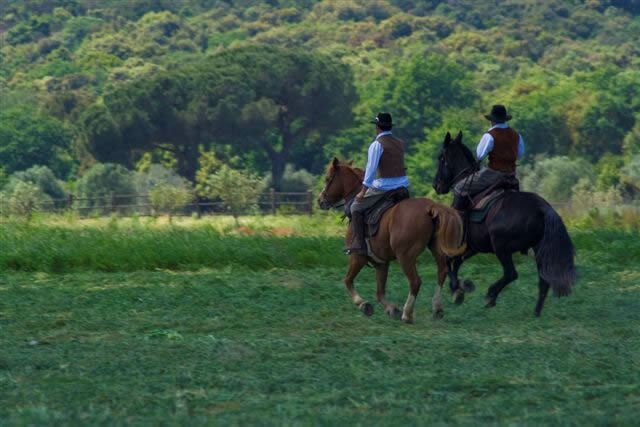 The Maremma distinguishes itself from other areas of Italy thanks to its variety and wealth of natural environments. 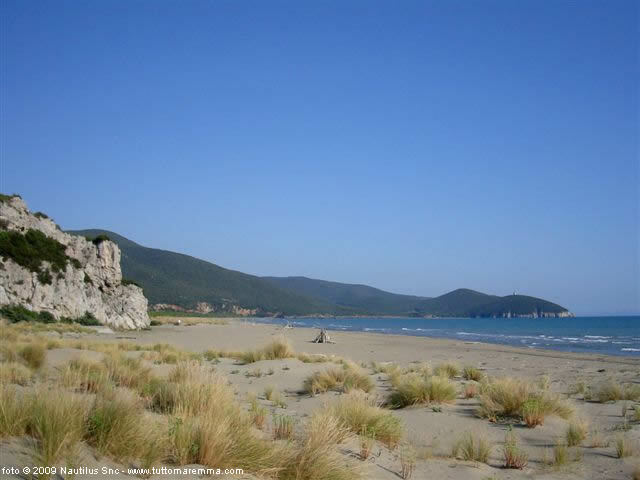 In order to protect them, many natural reserves and parks have been established. 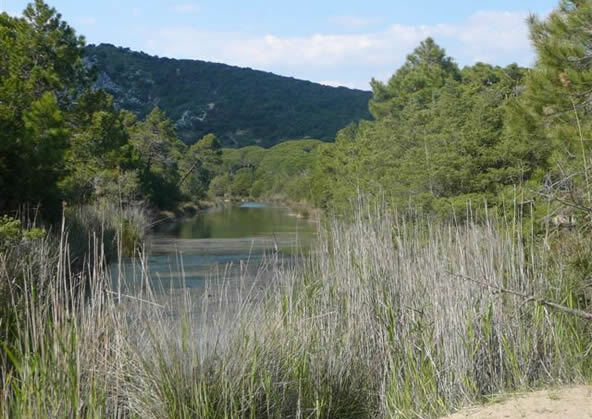 There you can enjoy the Mediterranean scrub in all its infinite variations, not to mention the possibility of seeing wildlife of the area. 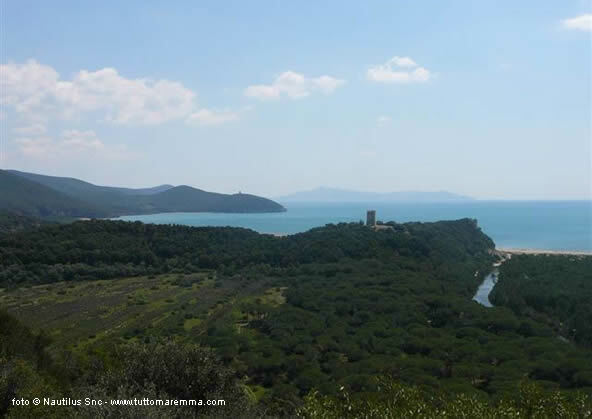 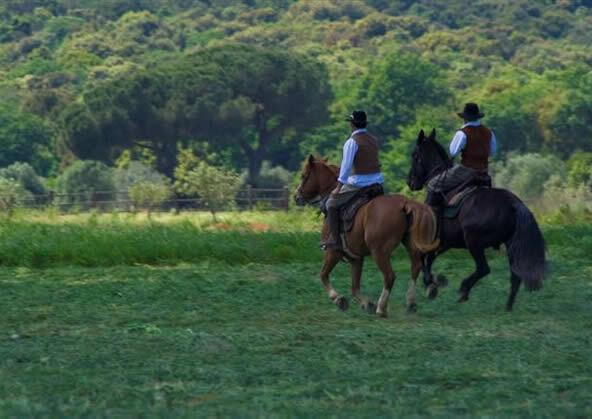 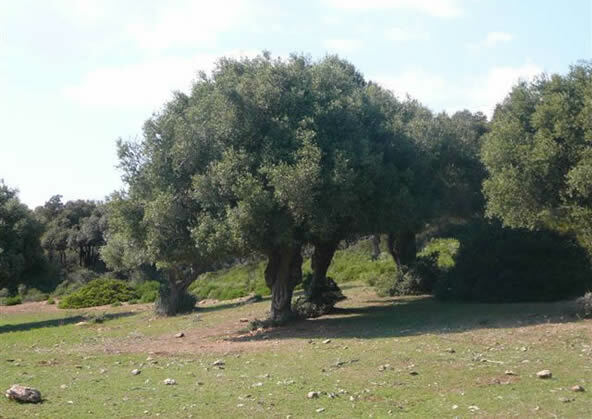 In Maremma the reserves, parks and the oases occupy approximately 40.000 hectares. 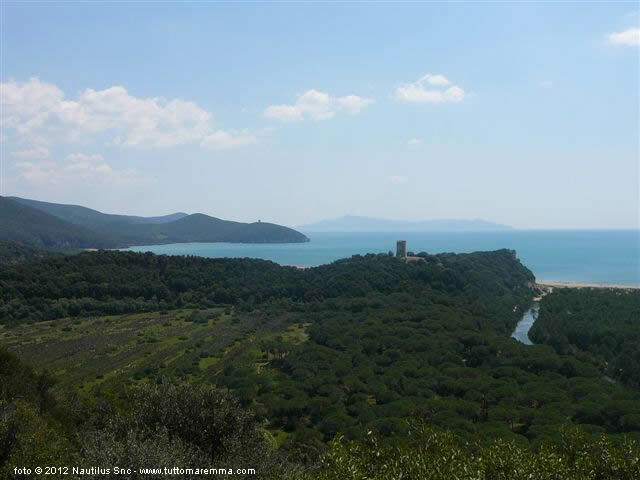 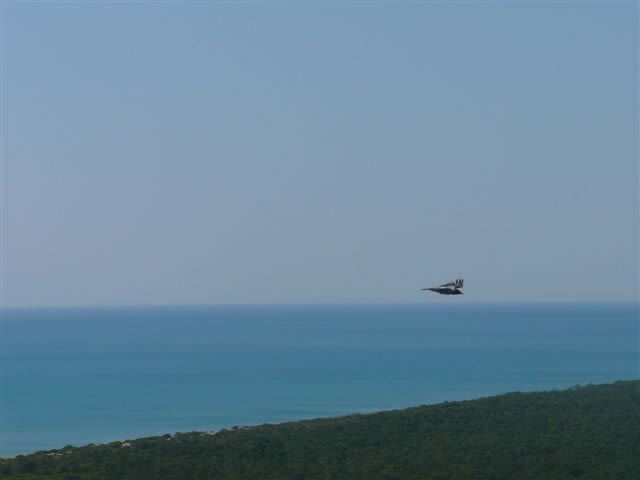 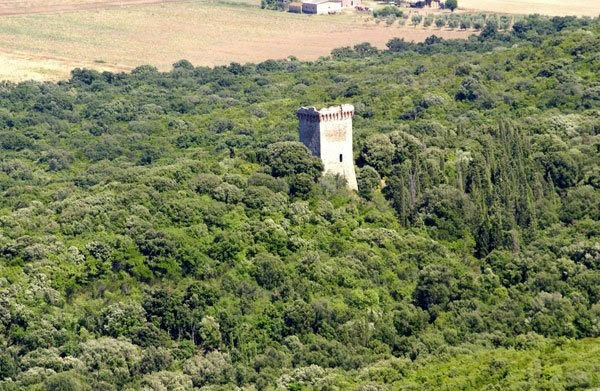 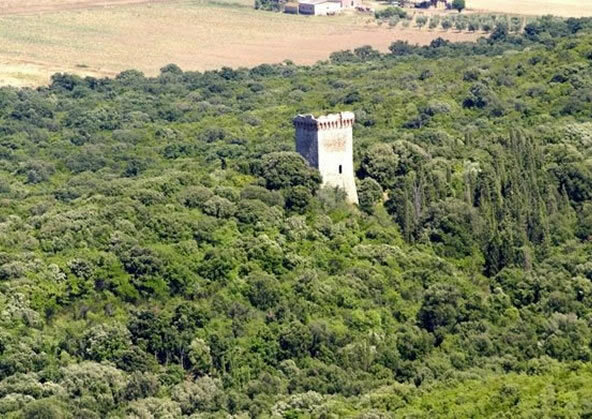 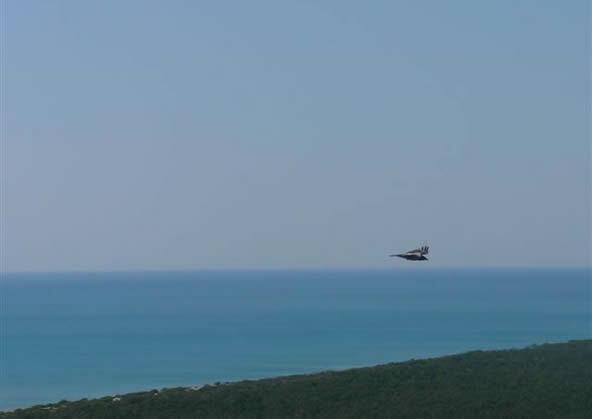 The most known it is Maremma Natural Park, extended for approximately 100 kmq, and comprise the stretch of Tuscan Maremma coast which goes from Principina up to Talamone, and it is delimited by the Aurelia road. 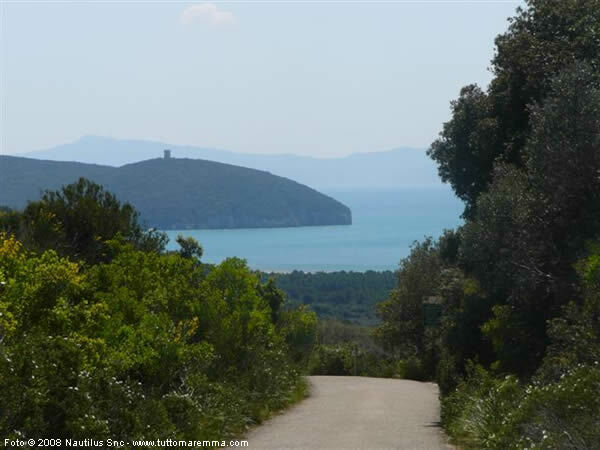 The main part of the Park is characterised by the Uccellina Mountains, a chain of hills that "run" parallel to the coast and covered by the thick Mediterranean maquis, which ends with the Lecci Hill (Poggio Lecci) 417 meters on the sea level. 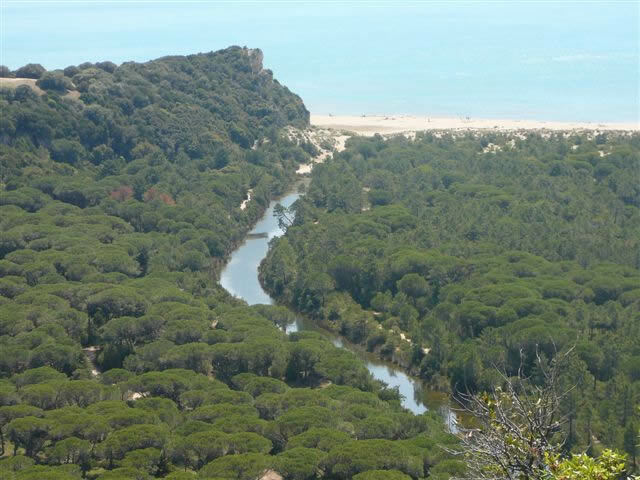 The northern area (plain) is humid with flood-lands formed by the sediments trasported by the river Ombrone. 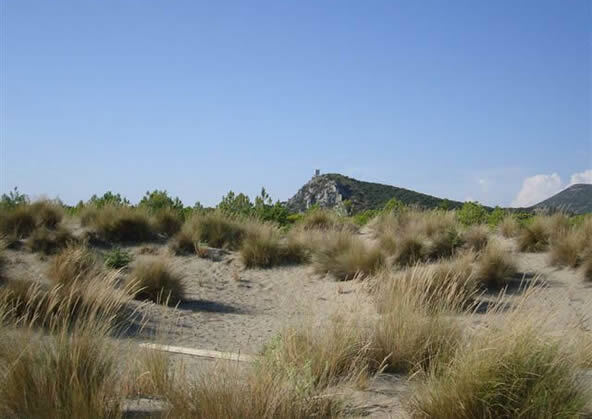 The park has three entrances: the first entrance is located in Alberese. Coming from north: exit from SS1 Aurelia in Rispescia (about 7 km from Grosseto) and after follow the S.P. 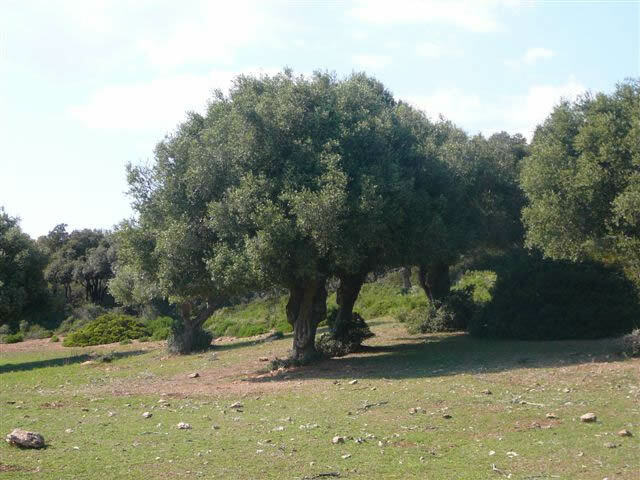 of Alberese until to reach the park. 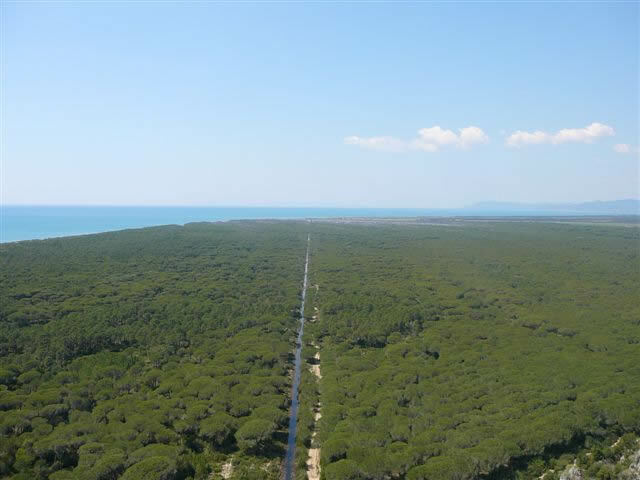 Coming from south: on the SS1 Aurelia exit at Alberese at km 166. 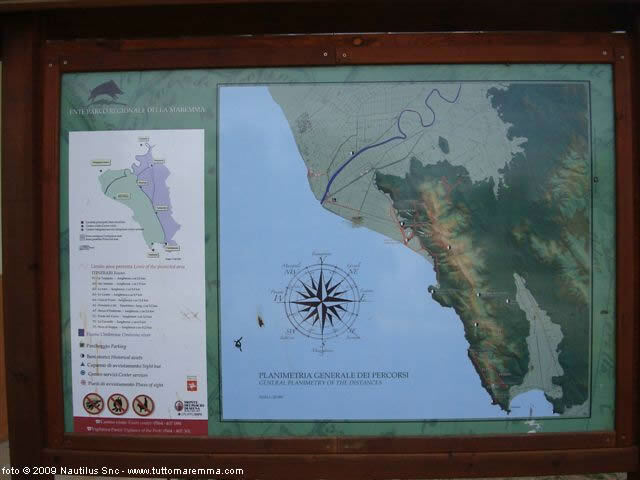 A second entrance is located in Talamone and a third entrance in Collecchio locality Magliano in Toscana. 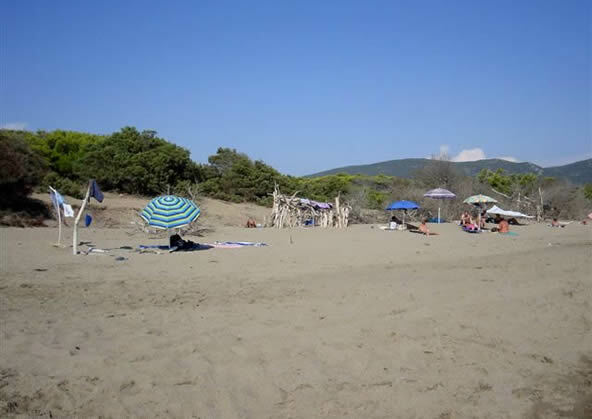 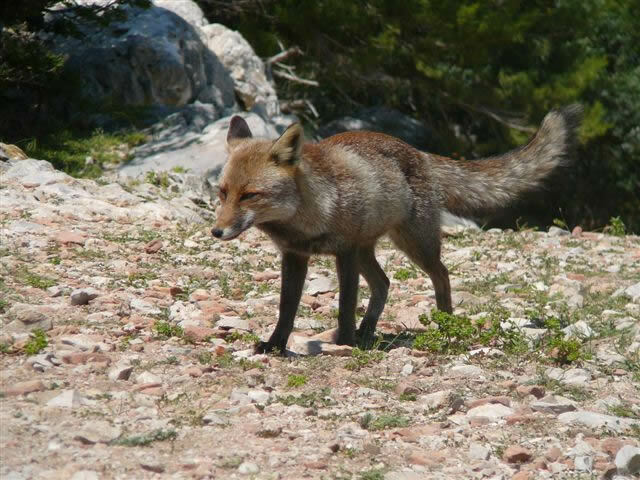 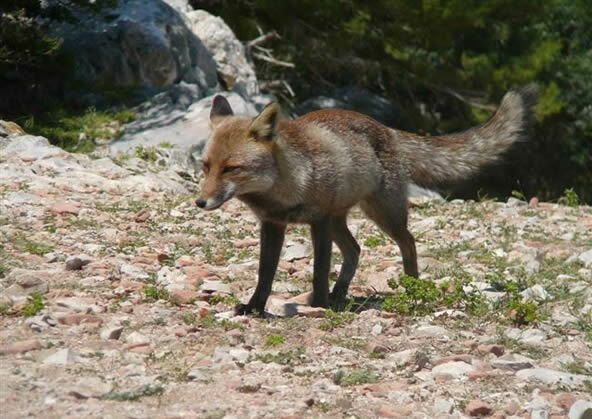 Visitor Center Alberese, via Bersagliere 7/9 Alberese (Gr) e-mail centrovisite@parco-maremma.it Phone+ 39 0564 407098. Visitor Center Talamone, via Nizza 12 Talamone (Gr) Phone+39 0564 887173. Visitor Center Collecchio, ex scuola località Collecchio Magliano in Toscana (Gr) Phone+39 0564 597146.